Use #MetsPlusPostseason to win exclusive prizes this October! When the New York Mets win this Postseason, loyal Mets Plus viewers that live in the United States can win some exclusive Mets-themed prizes! To get yourselves into the potential drawings before the season even starts, make sure you follow these steps. First off, you should be following the Mets Plus twitter account @NikoMetsPlus. This way you will know what the giveaway is, and how to potentially win it. Next, you have to leave a comment with the hashtag #MetsPlusPostseason in the recap post here on MetsPlus.com. 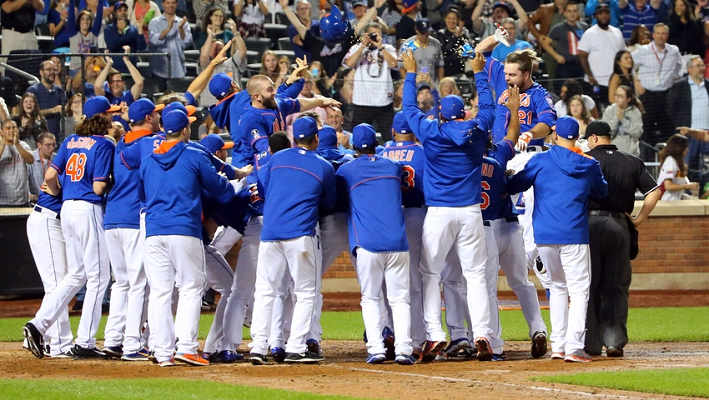 There will be a link to the post with the hashtag #MetsPlusPostseason within 50 minutes after the game. Winners will be announced before the next regularly scheduled Mets postseason game, or 24 hours after if the win is the last game the Mets would have to play. (And there is only one scenario where that can happen, and it’s a good one). And that’s all! Remember, you must be following @NikoMetsPlus and comment in the winning games’ recap post on MetsPlus.com with the hashtag #MetsPlusPostseason, and you could win awesome prizes, like t-shirts, pennants and more!